Harmony Incandescent Single Pole/3-Way Dimmers save energy and extend bulb life by reducing the amount of electricity required to power the lights. Energy consumption reductions of up to 30% are possible. 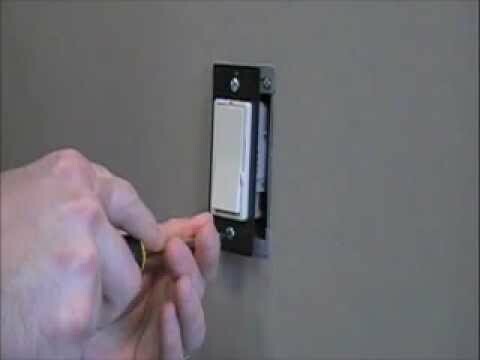 Offered in a wide variety of styles to match the look of previously installed switches and receptacles, P&S Dimmers also allow you to match the light level to the task at hand. Convenient operation -- combines ON/OFF Decorator switch with separate slider for dimming control. Green LED glows when OFF to make dimmer easy to find in the dark. Constant memory returns lights to previous level after a power failure. Sleek, ergonomic P&S Decorator style matches other Decorator devices. Higher ratings. Single pole and 3-way operation. Works with standard 3-way switches and wiring. Screw-pressure-plate backwire terminals save time, space and money.